This is a shot I had to wait a long time for. Adelaide has been on water restrictions for so many years and the minute they were lifted and sprinklers were allowed again I was itching to find a family that would be up for it. This family are long time clients and this shoot was about life at home for the kids, playing in the street on their bikes, having the neighbour's kids over to play and the overall feeling of a lazy Saturday afternoon. 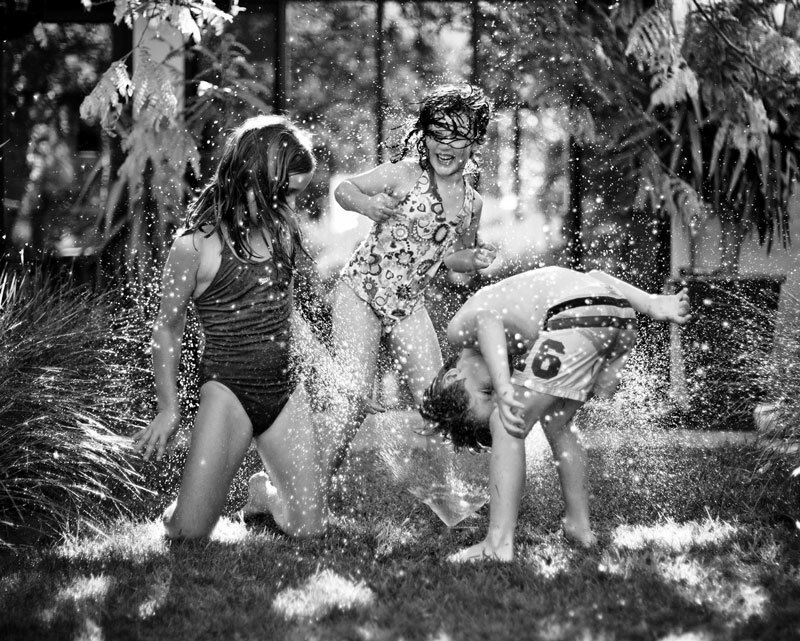 We all remember running to a neighbour's house with a towel over our shoulder to jump into their pool, commandeer their slip and slide, or dare each other to run through the sprinkler. I love the sheer abandon of the kids and the iconic Australian feel to this!.